What are Youth Transitional Services? Flexible Programming: Individualized, community based programming designed to meet the needs of each student and school district. Most programs are structured to service a student’s IEP and are directed by the IEP team through collaboration with Easter Seals staff. Employment & Work Based Learning: Incorporates a combination of job shadows, unpaid work experiences through NHDOL STW program, as well as support throughout the job search, application and interview process, job placement / job carving, worksite instruction and assessment of performance. Continuing Education: Includes in-school support, support with HiSET preparation, online education, extended learning opportunities and a focus on functional academics. Adult Daily Living Skills: Encompasses a wide spectrum of community based experiences and activities to help students transition from adolescence and school based services to adult life. Our Program Coordinators can help students connect to a variety of adult services. Social Health & Wellness: Involves coaching in the areas of social and interpersonal skills, community engagement, enrichment activities and healthy pursuits. 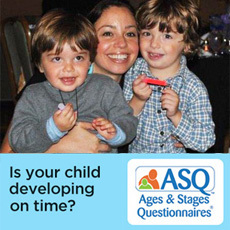 We offer Full-Day & Half-Day programs 5 days per week as well as Single-Day & Partial-Day programs 1 to 4 days per week. Programs run Monday through Friday. Provided individualized, community based programming, and in-school supports to over 300 students age 7 to 21. Provided program coordination and support to students with a wide variety of physical, cognitive, emotional, and developmental disabilities. Helped students and their families make the transition from school based services to adult life and connect with adult services. Contracted with 50 different school districts. Supported several students in college coursework. Provided school districts with IEP driven reporting. Our program has given him the skills and confidence he needs to explore his future goals and maintain his independence through employment and other community opportunities. Annually, Easterseals supports over 100 people through our Youth Transitional Services Program. To watch Kyle's full story click here. "I have a good time in my life and want to make the Earth a good place. 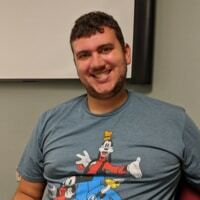 I really like being in Easterseals and this program makes me happy." 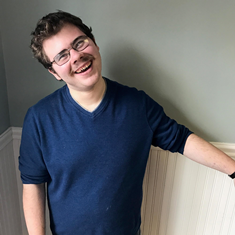 Tristan came to ESNH’s Residential & Educational Services several years ago as an angry teen who was prone to verbal outbursts and struggled to deal with a rough life as well as a variety of disabilities. Although the transition was rocky, Tristan continued to move forward with his education; going from a restricted residential situation, to a group home, and then, after three years, to more independent living where he is now responsible for doing his own cooking, cleaning, and laundry. To learn more about Tristan, click here. Christopher has always been a hardworking young man with a big and bright personality. However, when Christopher was in high school, he struggled with behavioral issues and had a hard time regulating his emotions. Click here to see how Chris turned his life around! 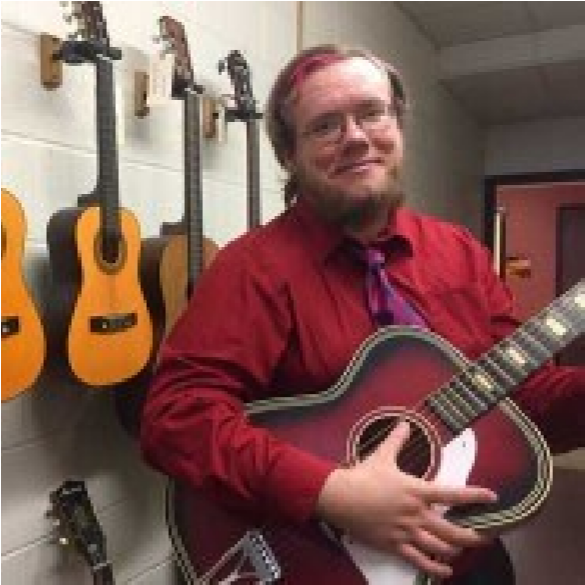 Here's Brandon's story on how Youth Transitional Services helped him stay employed. Logan started in the Youth Transitional Services in a bad state of mind. Here's his story and how he now has a better perspective on world views. Chris has been selected as the 2018 Nicole & Madeline Achievement Award Winner! His work helping the community has made a great impact! Congratulations Chris!